Austerity widens social and economic disparities at the expense of the majority of people. EPP candidate for European Parliament President, Antonio Tajani, has always been a representative of the austerity establishment, Panagiotis Kouroumplis told euractiv.com. Panagiotis Kouroumplis is Greece’s Minister for Shipping and Island Policy. Kouroumplis spoke to EURACTIV’s Sarantis Michalopoulos. The future involvement of the International Monetary Fund in the Greek bailout is currently a “hot potato” for the successful second assessment of the programme. Can the EU institutions support Greece without the IMF? Despite its ideological and political differences with the austerity policy, after the historic compromise on 15 July , the Greek government proved to be the most reliable in implementing the agreed reforms. The government realised the gravity and seriousness of the times and became the most consistent in meeting its obligations. After this difficult path, the objective is for the country to exit from the guardianship. Today, nobody can doubt that Greece has proceeded consistently in implementing the agreed goals. Whether the IMF stays or not, Greece is entitled to complete the assessment. The European institutions can and should support Greece. They have a historical responsibility towards a country which during the most critical moments in European history, the two world wars, stood by democratic forces. 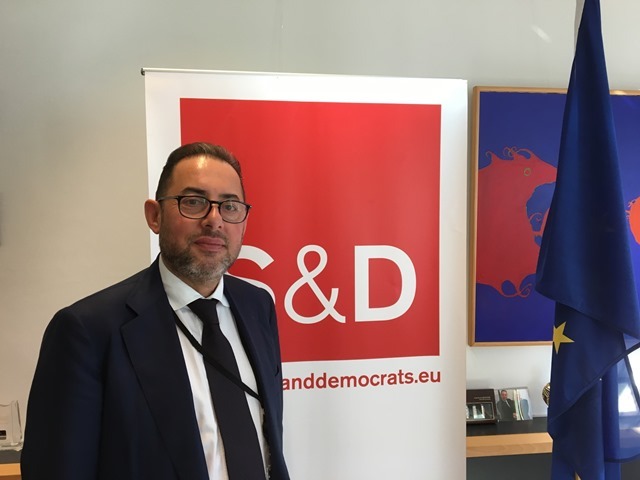 You recently told EURACTIV Greece that if S&D leader Gianni Pittella becomes the next President of the European Parliament “austerity will come closer to its end”. Is the European Parliament capable of playing a leading role in pushing for less austerity? 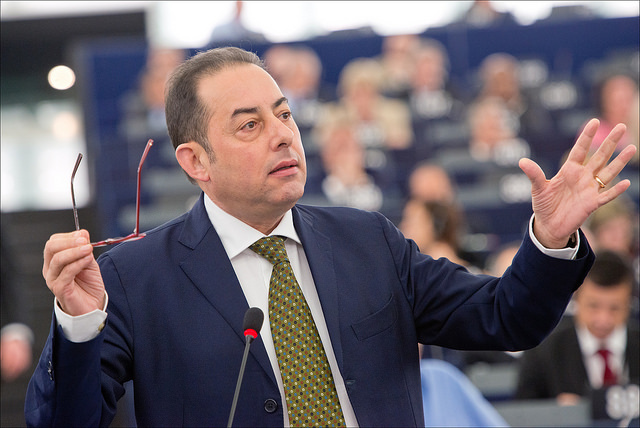 Gianni Pittella is a self-made politician. The consistency of his political path guarantees his efforts to defend a Europe of social democracy and to resist a Europe of extreme neoliberal austerity, which widens social and economic disparities at the expense of the majority of people. 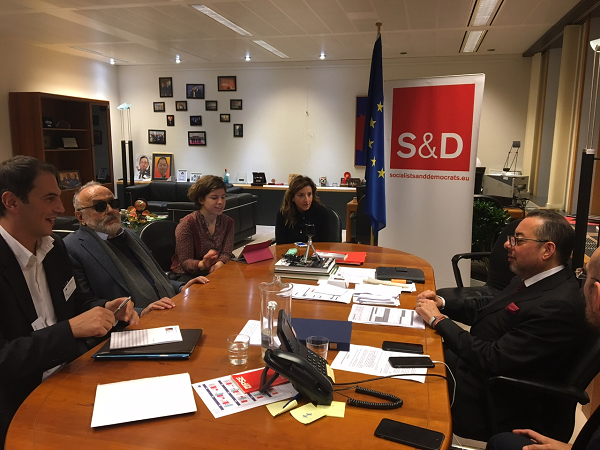 The European Parliament grand coalition between the right-wing European People’s Party (EPP) and the Socialist and Democrats (S&D group) is over and cannot be re-established, said its chief, Gianni Pittella, today (13 December) during a news conference in Strasbourg. 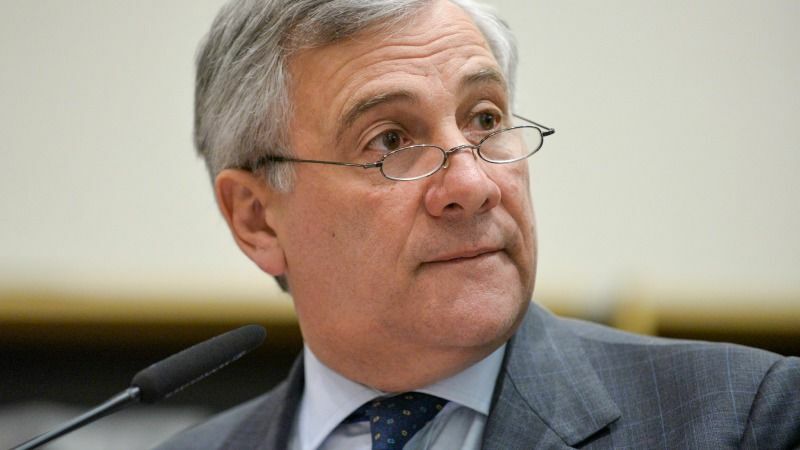 As it continues to reduce public debt, Europe should stick to the “social economy model” and ensure no one is left behind by globalisation, Italian MEP Antonio Tajani, the European People’s Party (EPP) group’s candidate for the Parliament presidency, said in an interview with EURACTIV.com. At a time when the European project is being tested, the European Parliament should and could take initiatives that will enhance the confidence of skeptical European citizens toward the integration process. His opponent Antonio Tajani (European People’s Party), has not stopped being the representative of the current austerity establishment. The responsibility of the centre-left will be historic if it doesn’t walk together and form one big progressive front to defend social democracy. A Europe mired in extreme right-wing populism will be a Europe subjugated to the values of blind nationalism. It seems that European socialist parties have come ideologically closer to the European left, with Greek Premier Alexis Tsipras even participating in the summits of the socialist leaders. Greece, however, is already represented in the socialist family by the Pan-Hellenic Socialist Movement and Potami (River), while rumors suggest the creation of a new centre-left pole. Is there room for Syriza? Progressive forces must overcome the issues which divide them. The risk of political self-marginalisation becomes day by day more evident if they do not understand that it’s in their personal interest to join the collective front against the upcoming neoliberal Europe. Syriza is a new political reality, and when you ignore the reality, life will (cast) you out. The Socialists & Democrats (S&D) are preparing a ‘counterattack’ against the European People’s Party, to ensure that they retain at least one of the EU’s top posts, EURACTIV.com has learned. Greece’s main opposition party, the centre-right New Democracy, has blamed you for “killing” the private sector due to excessive taxation and that your only electoral objective is to maintain a large public sector. What is your opinion on that? When in power, New Democracy repeatedly contradicted what it says now when it is in opposition. It became the most statist government. Syriza got rid of its previous stance on criminalising the private sector. Today, the party is attempting to introduce rules of transparency, equal treatment and equal opportunities. We want the private sector, but we don’t want it to be unaccountable, uncontrollable, and dependent on government budget money as was the case in Greece. On the contrary, we aim to have a creative private sector, exploiting comparative advantages for a Greece of security, political stability, and social peace. “The government realised the gravity and seriousness of the times and became the most consistent in meeting its obligations”. Is this the article’s author claim or it is just summarizing Mr Kourouplis opinion??? The Council says differently. The economy says differently. The people say differently. Every day new scandals of nepotism of the SYRIZA/ANEL government surface. Just today yet another issue regarding appointing ‘party people’ to the public servises arrived. SYRIZA/ANEL which were hand by hand with the neo nazis from Golden Dawn in 2011 in Syntagma Square, and both made it from political inexistance to ‘normal’ parties in the parliament are now contuing with the populist rhetoric regarding the neo-liberal boggie man. Mr Kourouplis you and your gov are nothing new. You yourself come from the deep PASOK, which was nothing different from the rest of the political parties in terms of corruption and nepotism, probles that have destroyed the future of Greece.